Depending on the type of OSHA violation and workplace hazards, an organization can be placed in the Severe Violator Enforcement Program (SVEP). The SVEP, a fairly new program, requires follow-up inspections to ensure compliance with OSHA’s rules and regulations. This memorandum provides guidance on removing employers from the Severe Violator Enforcement Program (SVEP). The SVEP has been in effect since June 18, 2010. To date, 288 inspections have been designated as SVEP inspections. In FY 2011, the Directorate of Enforcement Programs (DEP) began an in-depth evaluation of the SVEP. One of the areas considered was establishing procedures for removing employers from the program. After reviewing the policy, DEP determined that an employer may be removed from the SVEP after a period of three years from the date of final disposition of the SVEP inspection citation items. Final disposition may occur through failure to contest, settlement agreement, Review Commission final order, or court of appeals decision. Employers must have abated all SVEP–related hazards affirmed as violations, paid all final penalties, abided by and completed all settlement provisions, and not received any additional serious citations related to the hazards identified in the SVEP inspection at the initial establishment or at any related establishments. Except in cases where national corporate-wide settlements are involved, approval of the employer’s removal will be at the discretion of the Regional Administrator or designee and shall be based on an additional follow-up inspection and IMIS/OIS data. The Regional Administrator or his/her designee will then notify DEP via the SVEP log that the employer has been removed/lined-out. In the event that an employer fails to abate all hazards, pay all penalties, or comply with settlement terms during this three-year period, the Regional Administrator shall notify DEP with a brief summary of the situation. The employer will remain on the SVEP log for an additional three years and will then be reevaluated. For cases involving national corporate-wide settlement agreements, DEP will make the determination, upon the termination of the agreement, regarding the employer’s removal from the program. Pursuant to CPL 02-00-152, Guidelines for Administering Corporate-Wide Settlement Agreements (June 22, 2011), the National Corporate-Wide Settlement Coordinator will ensure that the follow-up requirements of the SVEP have been completed and the terms of the agreement have been implemented. The previous guidance regarding lining-out establishments remains in effect when facts indicate that reclassification of the SVEP qualifying citations is appropriate due to the quality of evidence brought forth during settlement. However, removal from the SVEP list cannot be used as an incentive for settlement. This policy will go into effect immediately. What is a ‘Process Agent’ and who needs one? A process agent is like having a “legal mailing address” in another state. The process agent is able to accept legal papers on your behalf and then forward the documents on to you. This saves your company the expense of establishing a “live” office in that state. We are proudly affiliated with NATIONAL RESIDENT AGENT SERVICE, Inc., and serve as their Michigan agent, helping thousands of companies, ranging from mom and pops to some of the largest carriers in the United States and Canada. Who needs a Process Agent? If you have a MC (motor carrier) number, or are a broker or freight forwarder, then you need a process agent. A process agent is required by the federal regulations. A process agent is needed in each state you operate or travel in. Many companies operating in the continental 48 states request “blanket” process agent service. Who does not need a process agent? If you are not doing business in other states (interstate operations), then you would not need a process agent. If you are a private motor carrier (not “for hire”), do not have “authority,” then you would not need a process agent. If any in doubt, please give National Resident Agent Service Inc. a call at 1-800-441-7442 and it would be their pleasure to discuss your needs. 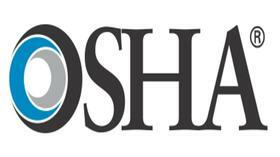 Workforce Management magazine reported online on August 17 that OSHA will begin a new safety blitz starting August 20, 2012 in Region 4. Four states in particular are targeted: Alabama, Florida, Georgia and Mississippi. This new policy concerns New Entrants who have failed their Safety Audit. FMCSA must receive a new entrant motor carrier’s corrective action plan within 15 days of the date of a new entrant safety audit failure notice or within 10 days of the date of an expedited action notice, in order to ensure adequate time for review. Otherwise, the motor carrier risks having its registration* revoked and being placed out of service. ** FMCSA has observed that a number of new entrant carriers have waited until the end of the corrective action periods established in 49 CFR 385.308(b) and 385.319(c) to submit evidence of corrective action, leaving Agency officials little to no time for review. However, § 385.308 requires the carrier to submit evidence demonstrating corrective action within 30 days. Similarly, § 385.325(a) requires the new entrant to submit evidence that is acceptable to FMCSA within the specified corrective action period. If Agency officials do not have sufficient time for review, the Agency cannot make a determination within the appropriate time period as to whether evidence of corrective action has been properly demonstrated, as required by § 385.308, or is acceptable, as required by § 385.325(a). If FMCSA receives evidence of corrective action more than 15 days after the date of the new entrant safety audit failure notice or more than 10 days after the date of the expedited action notice, the Agency will not guarantee that the evidence will be considered prior to the expiration of the corrective action period. If the corrective action period expires before the Agency makes a determination, the carrier’s registration* will be revoked. If the Agency subsequently determines that the corrective action plan is acceptable, the carrier’s registration will be immediately reinstated. However, if the Agency subsequently determines that the corrective action plan is not acceptable, the carrier will be required to wait the requisite 30 days before reapplying for new entrant registration in accordance with 49 CFR 385.329. *registration – refers to the U.S. DOT Number. **out of service (OOS) – refers to being prohibited from operating by the U.S. DOT. This new policy simply reinforces the need to immediately respond in a timely manner to any DOT requests. 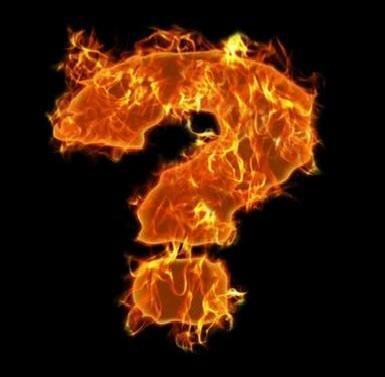 Burning Question: When is the DOT Safety Audit? (a) The new entrant’s roadside safety performance will be closely monitored to ensure the new entrant has basic safety management controls that are operating effectively. The purpose of the three month period is a period of time to establish (1) a “track record” and (2) document that your compliance is satisfactory and controls are in place. The DOT is looking for any tickets, collisions, roadside inspection data and the like. Since the start of the CSA enforcement program, DOT auditors look especially closely at roadside inspection data. During this pre-audit period your operations are also generating documents by the driver, human resources and driver qualification, inspections and maintenance., etc., and you have instituted best practices and training, policies and procedures for your particular operations. Sometimes your actual operations may be postponed or delayed for various reasons. If operations have not yet started, then be sure to indicate that to the auditor before the audit, as there would not be any documentation and paperwork to audit for DOT compliance purposes. Typically you can expect notification of audit, generally by letter, anywhere from three to six months after issuance of the DOT Number (occasionally a year and sometimes as long as 18 months later). Actual procedures may vary by state. For example, Wisconsin requires the motor carrier contact the audit section after the 90 days or they will cancel the DOT number. The key words here are “upon request;” not later, not next week or next month. Will you be ready? Please don’t delay preparation for another day. Taking a wait-and-see attitude about DOT Compliance? – time is lacking and resources are scarce or misappropriated for non-critical areas at the expense of critical areas. – The DOT or State’s Motor Carrier Enforcement Division may conduct a what is called an “intervention” ranging from a phone call to a full-blown audit. There’s an old saying, if you are not going anywhere, then any path will take you there. But that is not a very good business-like approach. The DOT always checks critical areas in both roadside inspections and audits. Some areas are so critical to the DOT that they will result in an automatic Out-of-Service Order (OOS) or audit failure. I prefer to call these the Critical Success Factors (CSFs) and helping you succeed is what we are all about. Don’t put the DOT off. Delay is a decision – for the wrong way. Avoid common mistakes and errors and the risk of citations and/or fines. Best of all, by taking action, by being proactive, you can avoid that feeling of panic and can remain in control and in change of the situation. Preventing Dangerous and Deadly Truck Rollaways . . .
Use a “Cockpit Exit Routine” when parking a truck. “A 30-year-old man riding his motorcycle was struck and killed by an unsecured and unmanned truck rolling down a hill. Every day dozens of trucks roll away after being positioned and/or parked by the driver. Some harmlessly roll a few inches. Others have rolled across parking lots or into intersections and major highways causing major property damage or fatalities. Sometimes the driver attempts to physically stop the truck or attempts to climb back into the moving cab, and becomes pinned against the truck or under the truck’s wheels. In many of these rollaways, the driver simply became distracted and failed to set the parking brake. The driver simply made an error and the truck, if parked on a slight incline, will begin to roll away. One possible Solution . . . Ask your driver to work with you to develop a cockpit “exit routine.” What is an exit routine? An “exit routine” is a systematic cockpit check inside of the cab before exiting the vehicle. I have taught the following “exit routine” to hundreds of drivers. (1) Set the brakes or check that the brakes have been set. To set or check the air brakes, pull the yellow knob on the dash. This will also automatically deploy the trailer air brakes. (2) Ensure the ignition key is in the “off” position. On average, a truck key is left in the “on/ accessory-position” at least once a year, resulting in a drained battery (and about a $200 average service call). (3) Check the turn signal or emergency (4-ways) lights are off. (4) Check a second time that the air brakes have been set by pulling on the yellow knob again. (5) Once outside, take a final glance at the truck, making sure no lights have been left on. Another step is writing up the post-trip vehicle inspection report or DRIV. Each time the driver exits or parks the vehicle, he should get in the habit of following the steps of the cockpit exit routine. Doing so will ensure that the key is in the “off position,” the vehicle’s lights are off and, most importantly, the air brakes have been set, preventing a dangerous truck rollaway. Having the driver put together the cockpit exit routine procedures increases the probability he will continue to follow the steps until they become a habit. Drivers should use wheels chocks when appropriate and should never physically attempt to stop a moving truck or attempt to climb or “jump” back into the cab of a vehicle in motion. Do your drivers have a set cockpit exit routine that they follow? From time to time I read books and some I find noteworthy. This is one of the books. The Korean War is sometimes called the “Forgotten War.” The numbers are staggering: 36,940 American dead, 92,134 wounded, 3,737 MIAs and 4,439 POWs. Behind every one of the numbers is a story. 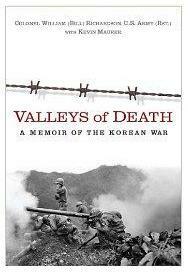 Valleys of Death is Bill Richardson’s personal story of the Korean War. Bill Richardson was too young for the Second World War, but by 1950 already had had four years in the Army and was due to be discharged. The only thing was that he didn’t want out of the Army and he had to fight to re-enlist. This is were he begins his saga. As corporal he was given leadership responsibilities as a weapons platoon NCO or non-commissioned officer. Getting ready for war, Richardson soon comes to the conclusion that readiness on the part of the Army for this war was lacking. From training onward, Richardson takes charge. Soon, perhaps too soon, he and his men are in Korea. The war has been in progress for several months and the North had the initial advantage. This would soon change as Richardson and his men fight hill to hill, hills with names like Hill 570, Hill 314, 401, 307 and many others. Here both enemy and friends fell under the North’s relentless, fanatical “human assault” attacks. By October 1950, his battalion suffered 465 casualties since its arrival in August. By Fall, Richardson finds himself north of the 38th parallel in Pyongyang. Luck changes quickly for Richardson when the Chinese Army adds 200,000 of their regulars to the mix. Richardson’s position is overrun by the Chinese. He regroups, fights back numerous assaults and attempts a breakout. Capture is followed by a death march and then a death camp. Richardson is now officially listed as Missing in Action. Richardson stays alive by sheer willpower as 30 to 40 prisoners die everyday because of the horrid conditions. “Starvation, lice, beatings.” After several years things start to improve and then the war ends. Key to Richardson’s survival was inculcating a personal will to survive. Richardson saw strong men give up and heroes emerge from unexpected quarters. Keep taking calculated risks and prepare for opportunity. Richardson escaped when he could and made other plans to escape should the opportunity present itself. Available as a Kindle download. The Korean War should be remain etched in our memory and Richardson’s story helps us to remember.